I love this time of the year when the great variety of flowers are beginning to bloom. With their spectacular colours come some enchanting scents also. My favorites are lilac for its unmistakable scent, rose for its heady yet subtle fragrance and honeysuckle that offers a fresh and sweet hedgerow aromatic. Bring all the magic of nature into your house by burning a Field Day Irish scented candle: the delicate Tea Rose fragrance is enriched by rose otto notes and has a hint of plum. Divine! You can also enjoy the refreshing jasmine and lime soap from Baressential. 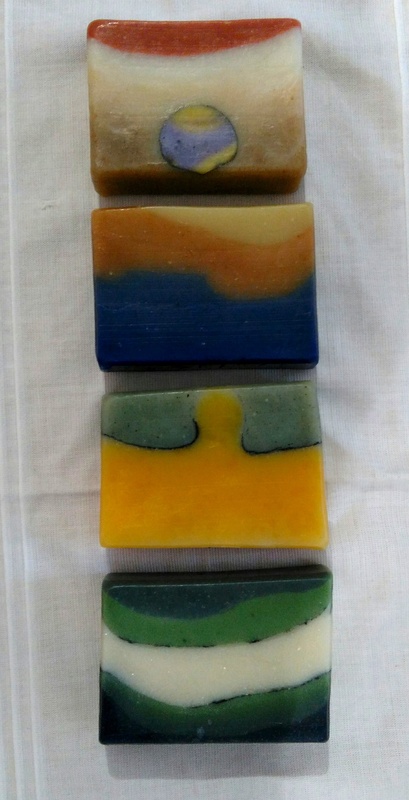 This family-run business based in Co. Kildare only produces small batches of handmade soaps so these natural bars are the freshest possible bars of soap to be found. Baressentials’ unique recipes are made using sumptuous skin loving ingredients and luxurious evocative scent blends. Not forgetting you can display your favourite cut flowers in a vintage-inspired handmade vase from Emer O’Sullivan. Emer is a Donegal native who makes a range of pretty ceramic pieces inscribed with flowers and impressed with lace.